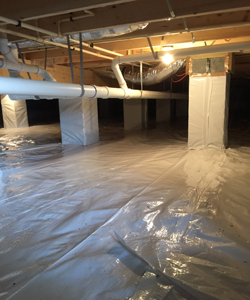 Conditioned crawl spaces are designed to increase the building envelope, which essentially makes the crawl space part of the house. 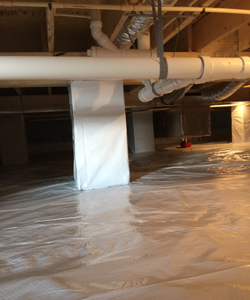 For this recent Camden, DE project (and most crawl space conditioning projects we do), foam board was installed around the walls of the crawl space and then covered with poly liners. After that was complete we air sealed between the floor of the house and the top of the crawl space. 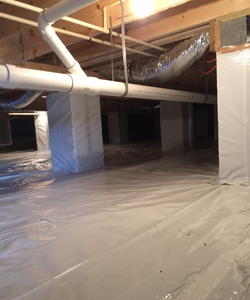 And by running a duct from the house into the crawl space to heat or cool it, the temperature of the floor on the main level of the home is regulated from below, making the home more comfortable. Let’s not forget one more benefit – the additional storage space in a conditioned crawl space! 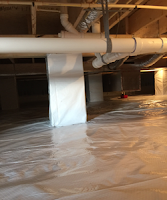 Want to see the valuable real estate could be hiding under your home? Give us a call!